Wayne May presents parallels between the forts of the Nephite Culture and the Hopewell culture of the mid west. Bruce Porter presents insights on the Title of Liberty once raised by the Nephites and re-established by the founding fathers of the United States. Bruce Porter presents some of the most important prophecies and promises from the Nephite prophets speaking directly to modern day America highlighting the link between those early Americans and their concern for latter day Americans. Steve Smoot introduces his new film “Lost Civilizations of North America” detailing the vast culture of the Hopewell and Adena cultures of north America and the tragic systematic destruction of the remains of these cultures by early Americans. I love your website and work! Look forward to more! Thanks for bringing this to my attention. It’s fixed and ready to watch. Enjoy. 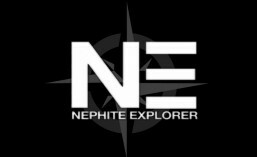 I absolutely love this, I have purchased Nephite Explorer season 1, so much valuable information, can’t wait for Nephite Explorer season 2, when will it be available to buy? Thank you for all the hard work you do. I’m looking for anything which tells me what order to watch the Nephite Explorer videos in. I can’t seem to find any numbering system. Can you please help? Each season is an investigation. If you have the DVD’s than they are organized in episodes 1-12 for season one and season two. I’d reccomend watching season one before season two. If you DVR’d the program I can’t help you as I don’t know what shows you have (or have not). Only about half of the shows are available online. The full seasons are available only on DVD right now. Hope that helps. excellent, you answered both of my questions. The order, and whether I should buy the DVD’s – I will buy them. Hi Ryan! I tried to watch your show on 7/5/2015 but it was black most of the time & then it had the Michigan plates. Could KJAZZ fix this & rerun this episode again? Sorry, they had technical difficulties that are now fixed. All episodes from Season 3 will be airing again starting this weekend. Good work, Ryan. This will help the youth recognize the evidences that are available and just waiting to be discovered. A real testimony builder. Hey Ryan did season 3 end? I was looking forward to the next episode and then they started playing reruns. Yup, each season is 13 episodes. We’ve played them all on tv. But there’s more to come. I have a bunch of letters you might be interested in, which back up your American Covenant concept. If you’re interested in them email me and I will give both the letters and the background of how they came to be. If not, it would be too bad.